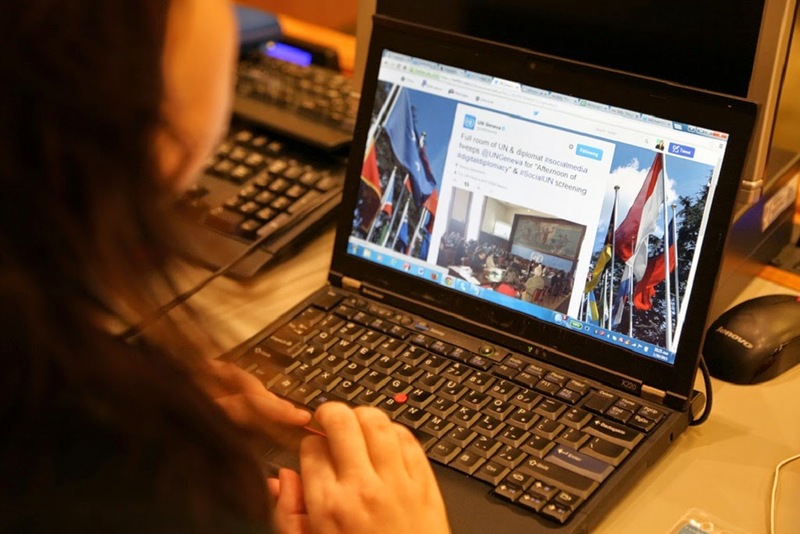 UN - The United Nations is holding its first ever Social Media Day at its New York Headquarters today, in an event featuring social media professionals, digital diplomacy practitioners and academics who are sharing their experiences, discussing trends and proving insights into their work. The Acting Head of the UN Department of Public Information (DPI), Maher Nasser, opened proceedings earlier this morning and his address was followed by a keynote speech from Adam Snyder, a strategist at the private sector firm Burson-Marsteller, who helped produce a study spotlighting Twitter's impact on diplomacy. Mr. Snyder told the audience that Twitter is making diplomacy more real-time and he expanded on those comments later in an interview with the DPI. After Mr. Snyder's speech, UN Ambassadors from Canada, Fiji and Pakistan described their lives “Tweeting from the Top” before representatives of Twitter, LinkedIn and Tumblr discussed how to make the most of social media platforms.